2.2 The Client provides TUNISIA SERVICES with a photocopy of his national identity card. The presentation of the original of the national identity card is required at the time of purchase. 2.3 The Client is requested to keep a copy of all the documents that constitute the Contract. 2.4 The minimum age for contracting is the legal age of majority, namely eighteen (18) years. 3.1 The Contract shall take effect on the date on which the line is put into service, which shall be within 48 hours of the signature of this Agreement. 3.2 The Contract is concluded for a minimum period of 12 months. At the end of this period, the Contract is automatically renewable unless the Client requests termination by registered letter with acknowledgement of receipt in advance, subject to thirty (30) days’ notice calculated from the date on which the letter is sent. 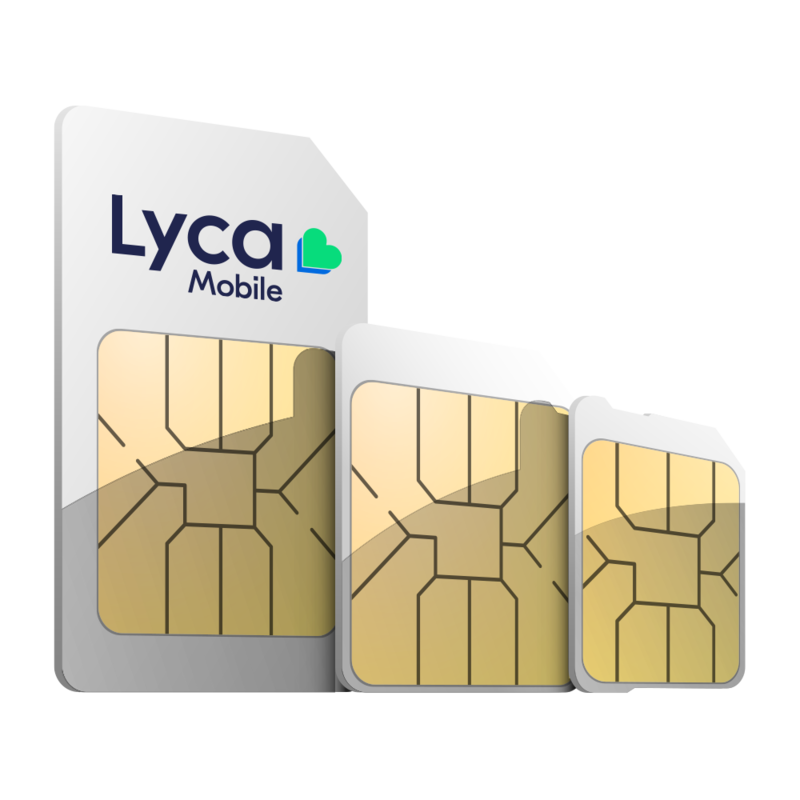 4.1 If the Customer fails to fulfil any of its obligations under this Agreement, the Lycamobile Service will be suspended after a formal notice to the Customer and will remain without effect for a period of 15 days. 4.2 For safety reasons, TUNISIA SERVICES may suspend the line after giving notice to the Customer. 4.3 Failure to use the line after 180 days from the validity date of the top-up will result in the suspension of the Contract. 5.1 Provide, when subscribing, accurate and up-to-date identification information (surname, first name, postal address, etc.). Consequently, the Client is solely responsible for the data he communicates to TUNISIA SERVICES. 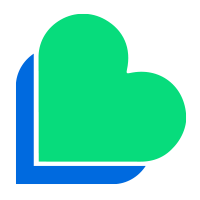 The use of the Lycamobile Service for purposes other than personal (including commercial purposes). The use, free of charge or against payment, of such a service offer as a gateway for re-routing communications or connecting people. The transfer or resale, in whole or in part, of communications. The uses of the Lycamobile Service are made for direct non-profit personal use between individuals. If a Customer uses an offer or promotion or a Lycamobile Service in a malicious manner towards TUNISIA SERVICES or towards another Customer, TUNISIA SERVICES, after investigation and verification, reserves the right to suspend the Contract(s) after seven (7) days’ notice to the Customer. If a Customer uses its line(s) in a manner contrary to current regulations or disruptive to its users, TUNISIA SERVICES reserves the right to suspend the Contract(s) or access to Customer service after seven (7) days’ notice to the Customer. 5.3 The Client undertakes to pay the price of the Services provided to it by TUNISIA SERVICES in accordance with the terms and conditions set out herein. 5.4 The Customer is responsible for the content of the communications, he undertakes that this content will not be in violation of the legislation of the regulations in force, he is the only one responsible for the content he distributes through the public telecommunications network. 5.5 The Customer is solely responsible for any damage caused by himself to TUNISIA SERVICES or to third parties as a result of his use of the Lycamobile Service. 5.6 The Customer undertakes to comply with all applicable laws and regulations, in particular those relating to telecommunications. 6.1 TUNISIA SERVICES undertakes to comply with the provisions of Decree 2014-412 of 16 January 2014 and more particularly its section 2 relating to its obligations towards Customers. TUNISIA SERVICES undertakes to do its utmost to provide the Customer with optimal access to the Lycamobile network, TUNISIA SERVICES determines the technical means necessary to achieve this access under the best conditions, except in cases of force majeure. 6.2 TUNISIA SERVICES is required to take the necessary measures to ensure the optimal quality of its network on a permanent basis. This may require maintenance work, reinforcement, redevelopment or extension of its network. Such work could cause disruptions that the Customer will have to undergo. TUNISIA SERVICES will do its utmost to limit such disruptions as much as possible. TUNISIA SERVICES undertakes to compensate the Customer for periods of service interruption due to intervention on the network in accordance with applicable regulations. 6.3 A Lycamobile phone number is assigned upon activation. The Customer may not claim any right to demand a specific number. Receipt of the documents and documents duly requested by TUNISIA SERVICES at the time of subscription. 7.1.1 This Agreement is automatically terminated in the event of TUNISIA SERVICES losing the administrative authorisations necessary to provide the Service. 7.1.2 The Contract is automatically terminated byTUNISIA SERVICES, after the suspension of the service under the conditions provided for in Article 4, unless the reason for the suspension is lifted during this period or if TUNISIA SERVICES expressly grants the Client an additional period of time to fulfil its obligations. 7.1.3 In the event of termination TUNISIA SERVICES reserves the right to reassign the Customer’s telephone number to another Customer. 7.2.1 The Client may request the termination of the Contract in the event of TUNISIA SERVICES’ failure to fulfil its obligations under the Contract. 7.2.2 The Customer shall report any problems related to the use of his line. If no solution is found, within seven (7) days, the Client may terminate the Contract by registered letter with acknowledgement of receipt sent to TUNISIA SERVICES. When the basic service is totally inaccessible either in his main residence or in his workplace. In this case, the Client will be reimbursed for the subscription fees. This right of termination may only be exercised by the Client during the first month of its initial subscription. In the event of subscription, while the Customer’s address of the subscription is not covered by the network. In case of moving abroad. In the event of detention in a penal institution. In the cases of termination provided for in (2) and (5) above, the Client must send TUNISIA SERVICES the relevant supporting documents with his request for termination. The termination of the Subscription Contract takes effect after receipt and validation of the supporting documents. It is understood that in the event of termination of the Agreement by the Customer during the minimum commitment period, for legitimate reasons, the Customer is exempt from paying the subscription fees for the remaining months of the minimum period. 7.2.4 Termination of the Contract for modification of the contractual conditions by TUNISIA SERVICES. The Client may terminate his Contract in the event that TUNISIA SERVICES modifies the contractual provisions without paying any fees. It is understood that any contractual modification must be notified in advance to the Client by registered letter with acknowledgement of receipt 60 days before its application. The Client has a period of sixty (60) days from the date of notification to inform TUNISIA SERVICES by registered letter with acknowledgement of receipt of its refusal or acceptance of the modifications. 7.2.5 In the event that the Customer’s actual connection to the Lycamobilene network can be made, the Customer may terminate his Contract as of right. In the event of failure to bring the line into service, the Customer shall have a period of thirty (30) working days from the date of registration of the subscription of this Contract by TUNISIA SERVICES to notify its Customer Service in writing duly signed and request the termination of its Contract. 8.1 The SIM card issued by TUNISIA SERVICES is physically and legally independent of the terminal designed to receive it. TUNISIA SERVICES is the sole owner of the SIM card. Consequently, the Customer may not sell, rent, destroy or damage it in any way whatsoever and each SIM card is assigned a PIN code. The latter may change it at any time. Dialing three successive incorrect codes causes the card to be blocked. The latter can be unlocked on request by issuing an unlock code (PUK code) by TUNISIA SERVICES by contacting Customer Service. 8.2 In the event of loss or theft of the SIM card, the Customer undertakes to inform TUNISIA SERVICES without delay by registered letter with acknowledgement of receipt to which is attached, in the event of theft, a copy of the report drawn up by the police. Without being released from the formalities provided for in the preceding paragraph, the Customer may, in order to allow a faster suspension of the line, inform his TUNISIA SERVICES Customer Service by telephone at the number appearing on his invoice. TUNISIA SERVICES shall in this case take all precautions to verify the identity of the Customer reporting the theft or loss of the SIM card. As soon as it is informed, TUNISIA SERVICES suspends the line. The Customer may request the replacement of his SIM card in the event of loss or theft by paying the corresponding fee. Neither of the two parties shall be liable to the other for any failure or delay in the performance of an obligation hereunder due to the fact of the other party following the occurrence of a case of force majeure usually recognized as being any unforeseeable, insurmountable and irresistible event within the meaning of Articles 282 and 283 of the Tunisian Code of Obligations and Contracts and by Tunisian law. The case of force majeure suspends the obligations arising hereunder for the duration of its existence. However, if the case of force majeure persists for a period exceeding seven (7) consecutive days, it shall entitle either party to terminate this Agreement automatically eight (8) days after sending a registered letter with acknowledgement of receipt notifying this decision. 10.1 Payment for prepaid services is made at the time of purchase. 10.2 Any reload from 1DT to 2DT is valid for a period of 10 days, from 3DT to 4DT the reload is valid for 30 days, between 5DT and 9DT, valid for 90 days, and for any reload going beyond 10DT the validity is 180 days. 11.1 The Client is informed that any change in the subscribed offer made at his request will result in the loss of the remaining credits, bonuses and options on his account on the effective date of the change. 12.1 The personal data relating to the Client collected by TUNISIA SERVICES are processed in accordance with the applicable regulations. TUNISIA SERVICES undertakes to obtain the prior written consent of the Client before any use of his personal data. Thus, any Customer has a right of access, rectification and opposition for legitimate reasons to personal data concerning him/her. To do so, the Client may contact TUNISIA SERVICES’ Customer Service and submit a written request with his national identity card. 12.2 In the case of the use of personal data concerning him/her, in particular traffic data, for the purpose of direct prospecting for products or services. Similar to those referred to herein, the Customer has the right to object to the use of said data by simply calling Customer Service. TUNISIA SERVICES may use this information to develop and market products and services. TUNISIA SERVICES may also use this information in the context of direct marketing operations, by sending messages to the Customer relating to its products and services, by any means whatsoever and in particular by e-mail, unless the Customer expressly objects to this by contacting TUNISIA SERVICES Customer Service or any other means indicated by it. TUNISIA SERVICES may, subject to compliance with the provisions of Law No. 2004-63 of 27 July 2004 on the protection of personal data, communicate this information to its service providers for the purpose of performing a service or studies as part of its activities. Unless the Customer expressly objects, information concerning him may be communicated to partners for commercial operations or the communication of Lycamobile’s offers. TUNISIA SERVICES must in this case take all necessary precautions to ensure the security of this data and prevent the service providers and/or partners from making any modifications or alterations. In case of malfunction or inadequacy of the telephone used by the Customer. In case of misuse by the Customer of his terminal and/or accessories. In the event of local disturbances or unavailability due to the hazards of electro-magnetic waves. In case of use of the Lycamobile Service by an unauthorized person. In the event of indirect or immaterial damage suffered as a result of the use of the Lycamobile Service, regardless of its nature. In case of force majeure. Any complaint must be addressed in writing against discharge or by registered letter with acknowledgement of receipt to TUNISIA SERVICES’ Customer Service, whose address and telephone number appear on the invoice. The latter undertakes to process the complaint within seven (7) calendar days of receipt of the complaint. TUNISIA SERVICES and the Client shall endeavour to settle amicably any dispute concerning the interpretation or execution of the present contract. The Client and TUNISIA SERVICES agree to elect the courts of Tunis (Tunis) as the only competent courts authorized to rule on disputes or disputes between the Client and TUNISIA SERVICES arising from the performance, interpretation or termination of this Agreement.